SpyFu is one of the more feature rich tools, but probably has the least attractive interface out there. 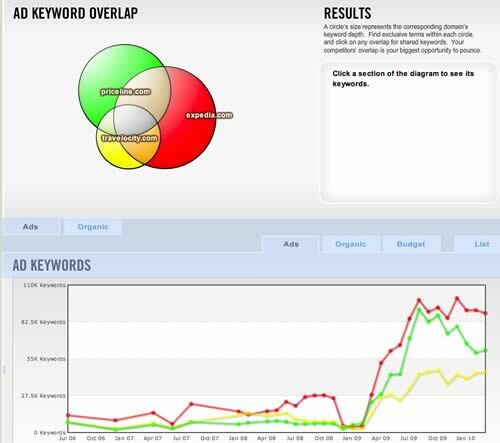 SpyFu offers SEO and PPC spy tool options along with their own keyword research tool. The SpyFu toolset covers US and UK markets. With SpyFu Kombat you can look at overlapping and site specific keywords for up to 3 websites. For the PPC version you can also see a chart which goes back over a period of a few years showing the overall amount of keywords being bid on by all three sites. You can also rollover the chart to see keywords specific to just 2 of the sites if you feel the 3rd site may not be doing as good a job (or vice versa) as 2 of the other sites. It will also show you the PPC budgets of the sites as well as the number of organic keywords ranking in the top 50 results for said keyword. When you click on an area of the circle chart it will show you the keywords in whatever bucket you click, to the right of the chart. You can view and download those keywords for your own use. As you can see I am on the ads tab but the options are similar when you click on the organic tab (on the top box, the organic one on the bottom shows you total organic keywords). Switching between the organic tab and the ppc tab (as well as the overall # of organic keywords + PPC ad budget should also give you an idea of which of the bigger sites are more into the PPC or SEO side of things which can be a good barometer to look at if you happen to be concentrating on one area over the other. 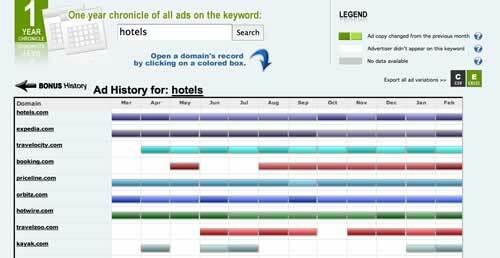 Keyword Ad History will show you, via color coded bars, how often the keyword appeared in a domain's PPC campaign along with any changes in the ad copy (all of which can be exported to excel). It shows a year's worth of data up front and goes back to 2006 via the Bonus History Button. So it's pretty straightforward, which is what I like about SpyFu Tools. No over-reliance on "in-house metrics" it's just "here's the ad history of the keyword", plain and simple. Typically, if you see a keyword being advertised on by a good PPC advertiser consistent then you can look to apply that ad copy technique to a niche market of that larger keyword. If I were advertising for "hotels in Oklahoma" I might pay attention to what ad copy has been successful, over time, for that main/core keyword "hotels". 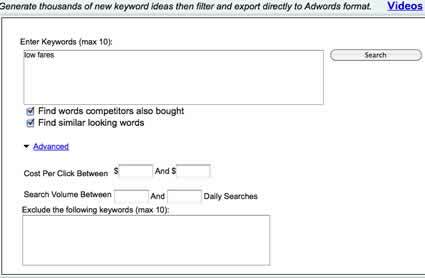 This tool is useful in looking at keywords that have been successful for your competitors (or larger players in your niche) and which ones they tried and abandoned (which could be ones for you to avoid out of the gate). All of this assumes the domain you are researching is competent PPC advertiser. For me, I prefer to use the PPC keywords and the Organic keywords found in either SpyFu Classic or SpyFu Kombat. 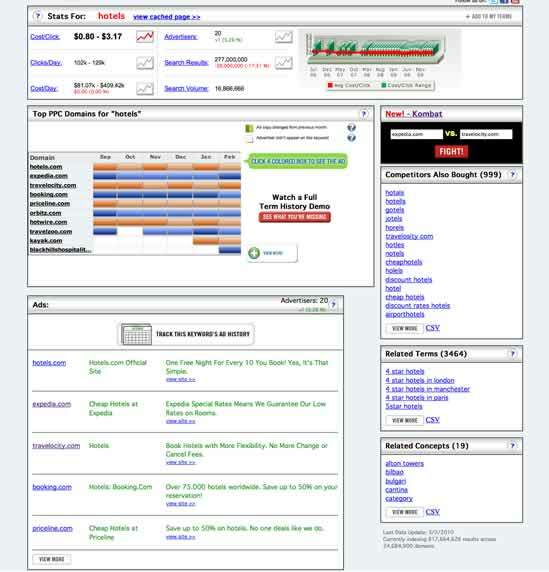 I like to use other tools for pure keyword research (Google tools, Microsoft Ad Center Intelligence, and Wordtracker). Primarily, I feel SpyFu is at its best when used as a competitive research tool versus a keyword research tool. They have a list of all there Top 100 Lists here. I find their tools pretty useful for competitive research. I don't use their Keyword Smart Search much as described above but the amount of data that they give (in a straightforward fashion) at the price points they give is quite a nice combination. SpyFu makes its way into my toolbox on just about every project. Nicely detailed review, man. 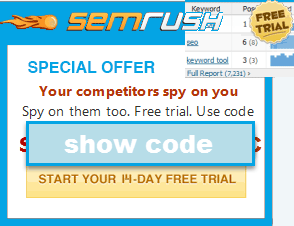 With newer entrants like SEMrush now available and newer features in some tools e.g. SpyFu's Kombat, it's good that a few people are doing some critical comparisons. I think that one of SpyFu's core strengths remains one of the areas that's been there since the Classic version, their estimates for competing PPC spend volumes. While I tend to error in favor of KeywordSpy in terms of depth of keywords intelligence, in terms of accuracy on the competitive PPC budgeting considerations I've found SpyFu's estimates tend to be more accurate (I've tested on a few instances of my own). All that said, I've been enjoying SEMrush's ease and lower price-point on recent projects... and in any case SpyFu remains a regular component within a larger context of using multiple tools in parallel and then examining what mutual corroborations are evident in their outputs. I have to echo sreyns regarding the detailed review. We at SpyFu appreciate your candor as well as the praise. Our interface does need improvement, and while we are consulting others about what should be changed, we are more eager to hear from users about what they would like to see. I especially liked your observation that we do not rely on in-house metrics in place of strong and actionable data. We find that when you're doing research, you want clear information you can act on immediately. Thanks again for taking the time to give a thorough review. Can I look what subject is popular in other regions with SpyFu? Such a nice tool but how can I lookup what competitors I have in other regions? It shows if the subject is popular in other countries, I'd like to use something like this for my blog. I have a paid account but I didn't find it. Sent an email to the support too. ...they primarily target the US and UK markets, as those are the most saturated with advertiser demand. Some other competitive research tools also target other international markets. I think SEMrush targets something like a couple dozen markets, SearchMetrics has many markets in it & there really are a ton of different competitive research tools with their own unique data sets & features. A couple of the features I like most with SpyFu are the snapshot pictures of old search results on a keyword (and the ability to scroll through a keyword over time) & last I checked they by default allow you to download all the data for a competing site, which can be helpful if a competing site has a rather large search footprint.